The conclusion of the Themis Files trilogy. Well, I did have to wait a year to get the conclusion to the cliff hanger ending of the last book but it was worth it. 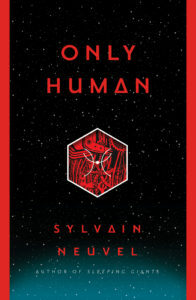 “Only Human” is set ten years after the events of “Waking Gods” and a great deal has changed on earth since then and not for the good. Earth’s reaction to the discovery that a great deal of humanity had alien ancestors has not resulted in celebration and street parties. Instead we see a frightening, and not without precedent, vision of the future. We do find out what happened to Vincent, Rose, General Govender and Eva at the end of the previous book and we slowly learn about the culture of the planet that Themis and the other giant robots originate from. I’m trying not to give much away here. I did really enjoy reading the book, although I was horrified by a lot of it. But that’s a good thing. It also wasn’t quite as action packed as the previous books but I think you’ll enjoy it despite that. It’s written in the same interview style as the previous books and I don’t know if it was just a quirk of the Galley copy I was reading, but I found that it was really difficult to keep track of who was speaking in some conversations. But the actual finished book may be quite different from the galley. Only Human is out now. 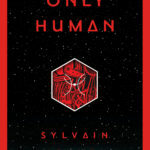 Disclaimer – I received a digital galley of Only Human in return for an honest review.